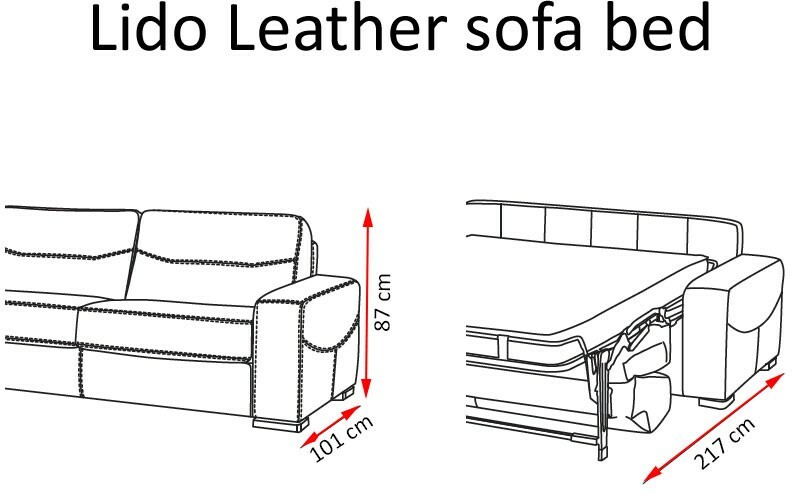 The sofa bed Lido A is a modern, stylish and practical sofa, which can be successfully placed in many different environments ensuring, in any case, remarkable results. 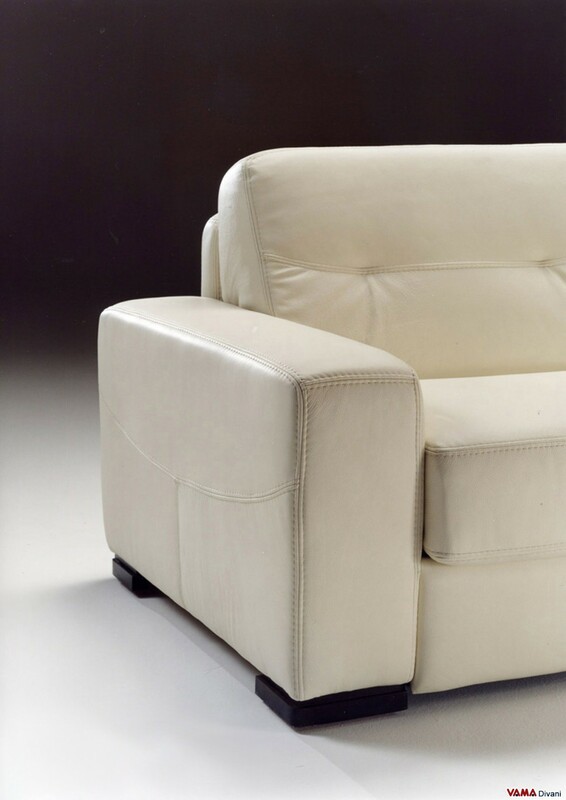 Its upholstery is entirely realised in high quality and totally smooth leather, as it is typical for contemporary sofas, but it is embellished by fine hand crafted seams. For this sofa, comfort is not an option: its soft and slightly inclined back, its deep seat cushions and its wide arms make Lido A a very comfortable sofa. 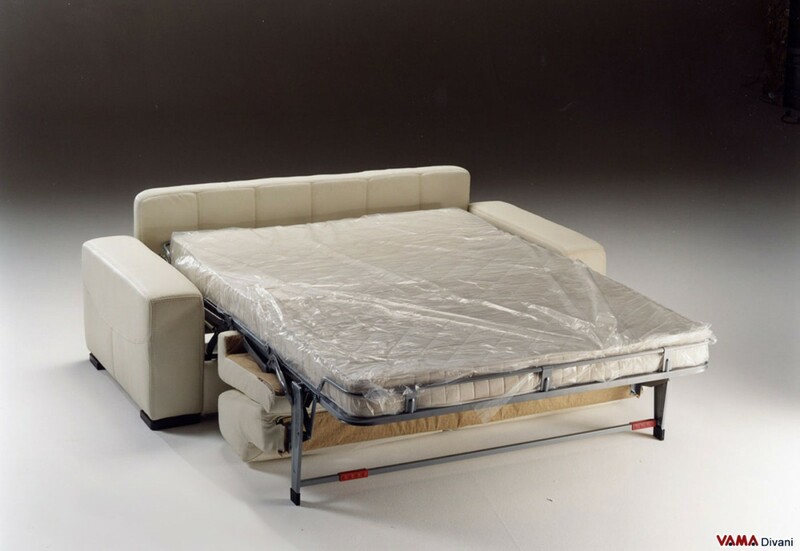 Transforming Lido A from sofa to bed is very simple, and does not require any effort: its inside mesh, indeed, opens maintaining all its cushions integrated to its structure, and the mattress, fully padded with polyurethane foam, is 14 cm thick. 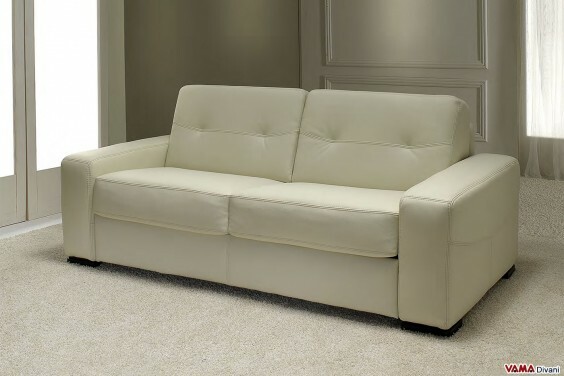 A high quality sofa bed, stylistically perfect in any context.